Pulled pork is one of those great recipes that you can cook in bulk and then save for delicious leftovers all week: it makes quick lunches and dinners easy and it even freezes well, if freezing meals in advance is your thing. 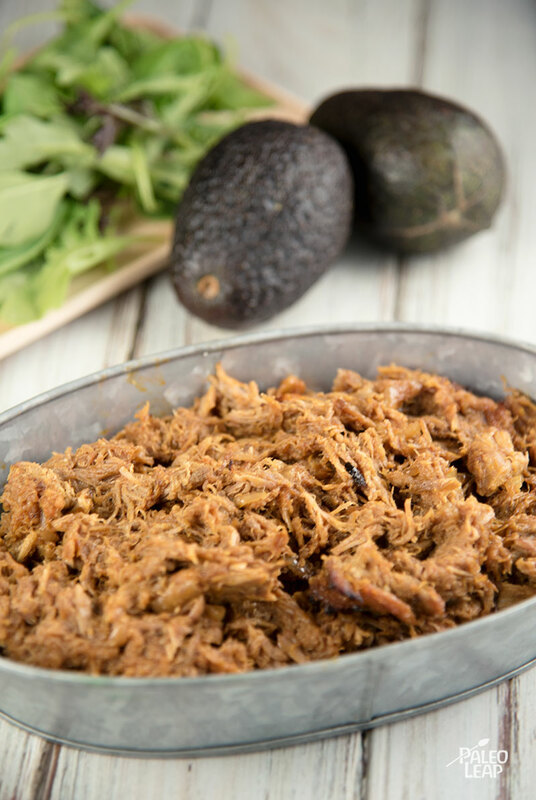 But it gets boring to just eat a plate of pulled pork every day – why not jazz it up a little with some fresh greens, avocado, and a tangy BBQ dressing? The lime in the dressing might look a little strange, but just think of how well barbecue sauce goes with salt & lime tortilla chips: plenty of barbecue sauce call for something lime-flavored, and it makes for a nice twist on the classic recipe. This salad is simple enough to keep the convenience of the leftover protein, but adds enough flavor to keep your meal interesting. Try it by itself, or with a baked sweet potato (maybe sprinkled with a little extra dressing?) to add some healthy carbs for a post-workout meal. In a bowl, combine the olive oil, vinegar, lime juice, and BBQ sauce. Heat up the pulled pork in a skillet until warm. In a salad bowl, gently toss the romaine, tomatoes, avocado, bell pepper, and green onions. 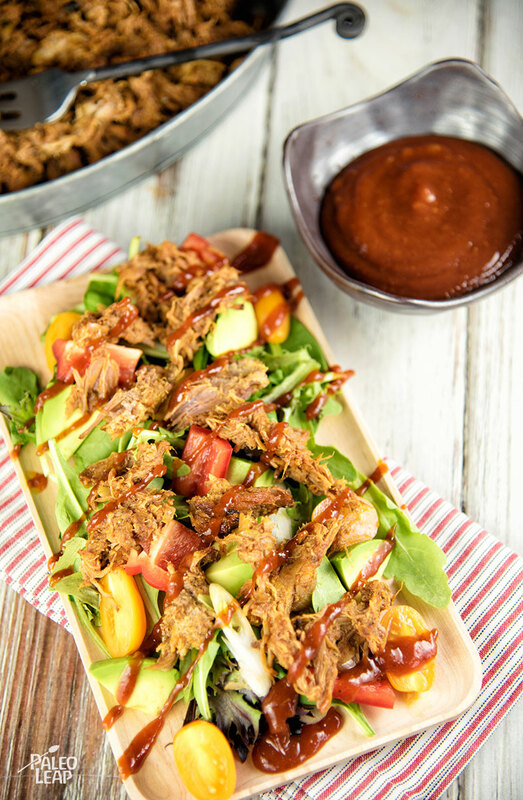 Top the vegetables with pulled pork and drizzle with the BBQ dressing to serve.